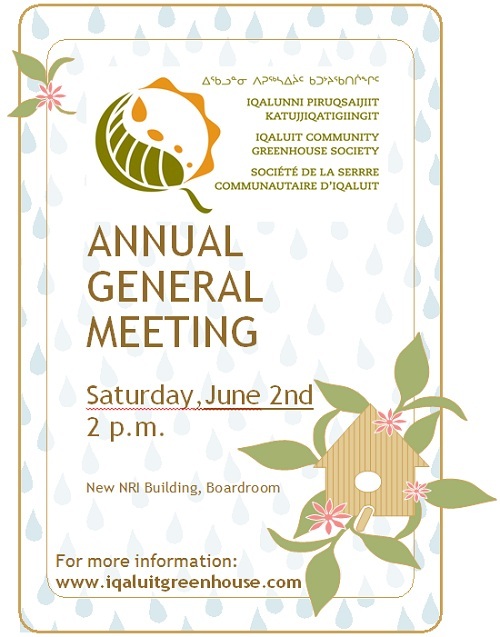 Please join the Iqaluit Community Greenhouse Society for its Annual General Meeting this Saturday! We will be meeting in the boardroom at the Nunavut Research Institute at 2 PM on June 2, 2012. Come out, meet the current board and join us as a member for the 2012 growing season. We are also looking for new board members to fill our ranks. We hope to see you there!